The specialist for infrared measurement solutions InfraTec presents VarioCAM® high resolution - the world´s first mobile thermographic camera with a megapixel resolution. Up to (1,280 x 960) infrared pixels and an excellent thermal resolution based on selected detector quality and high-precision lenses provide you with best measurement quality and sharpest thermograms. 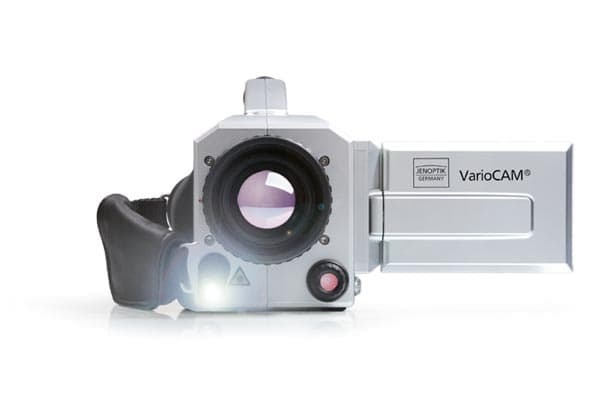 Designed for the use in industrial environments VarioCAM® high resolution weighs only 1.5 kg. Additionally numerous automatic functions and ease of operation will help you concentrating on your measuring task. Using professional Li-Ion batteries you will be operational for up to three hours. To get out most of your measurements just integrate visual images taken with the in-built video camera supported by an LED-video light, annotate voice comments or do short infrared videos. Together with the thermographic analysis software IRBIS® the VarioCAM® high resolution will speed up your measurements and analyses resulting in higher precision and efficiency.